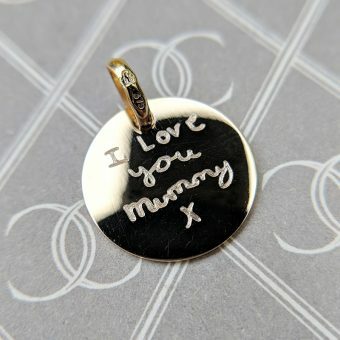 A great deal of the jewellery we engrave is being personalised with a mummy in mind! Whether that’s the addition of a child’s name, date of birth, a message of thanks and of love or even an engraving of a child’s drawing or handwritten message. 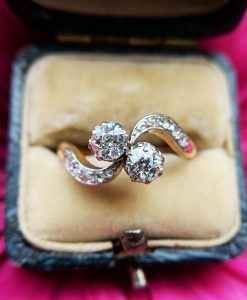 Jewellery is is always a welcome gift for mum, but an engraved message adds a thoughtful touch to an already special present. Whether it’s a silver locket necklace or a solid gold bracelet, by adding an engraving you can be sure it’s a piece of jewellery she will treasure forever. Do we have you convinced? Good. Below are our top 5 best sellers when it comes to personalised jewellery for mums. Without a doubt one of our best selling items of personalised jewellery for mums is our solid gold disc necklace. 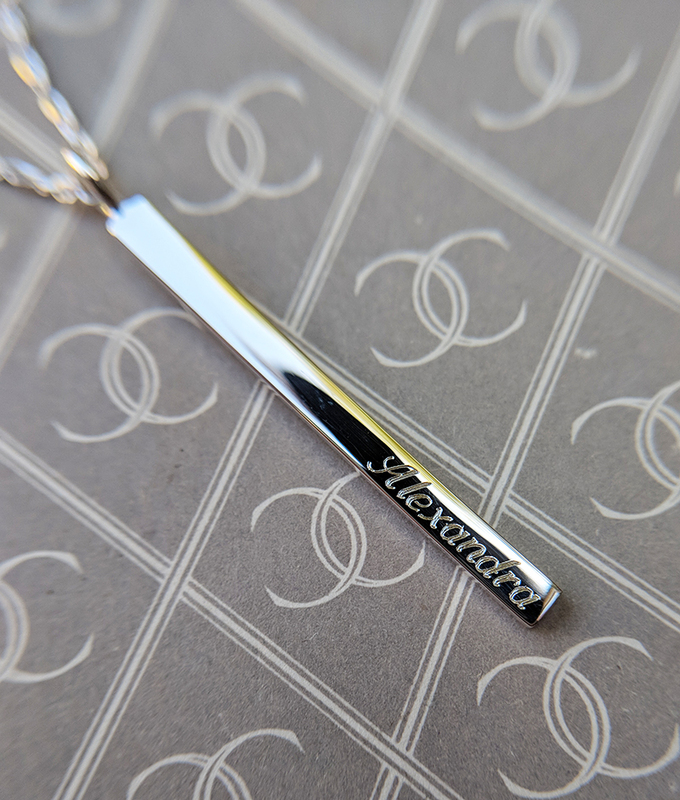 Choose your disc and chain in 9ct yellow, rose or white gold and engrave one or both sides in a font of your choice, or send us over a handwritten message to engrave. It doesn’t stop there, we can engrave hearts, baby feet, we can engrave around the edge and we can even engrave your doodles if you like. This is a beautiful and on-trend personalised necklace. 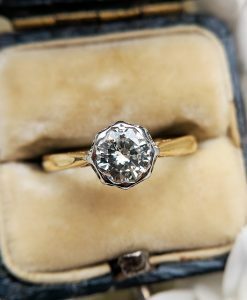 It’s not gold plated – it’s real, solid gold and it will last. 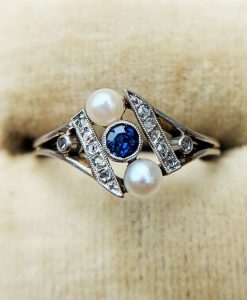 She may be plain, but let us reassure you, she is beautiful….especially when we engrave your unique and thoughtful message to the front. Our locket necklace is made from solid 925 sterling silver and comes with a selection of chain options from the short to the long. Etch initials, a name, date, a message or a declaration of love. And let us gift wrap it to perfection, for free! 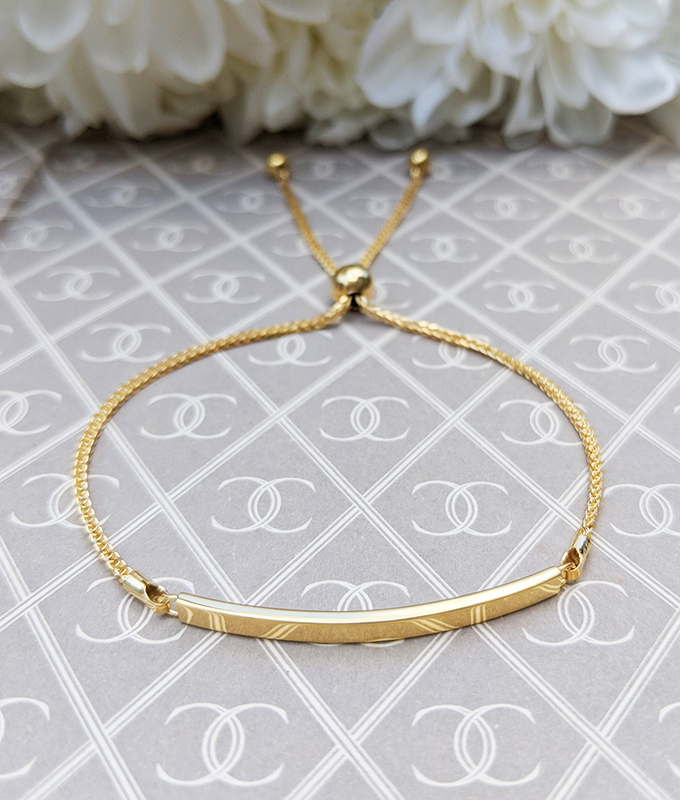 Unlike most of the adjustable bar bracelets you see for sale, this bracelet is made from only 9ct yellow gold. It’s not a silver bracelet coated in a small amount of gold that will eventually wear off. 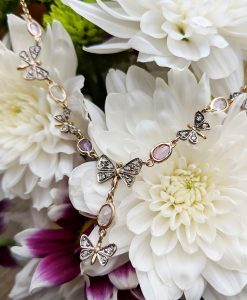 Our bar bracelet features a beautiful diamond cut spiga chain with a toggle, and a fine gold bar on which you can add your personalised message for mum. This bracelet is great because it’s suitable for a wide range of wrist sizes, meaning you can get away with not knowing what size you need to buy! Our solid silver bar necklace is great – sleek, stylish and super value. It looks fab with a name or two added, and can be engraved on both sides. A bright and on-trend necklace for mum that looks fab with pretty much any outfit – daytime to evening. Silver is a robust metal and this necklace will with-stand tugs from little hands! 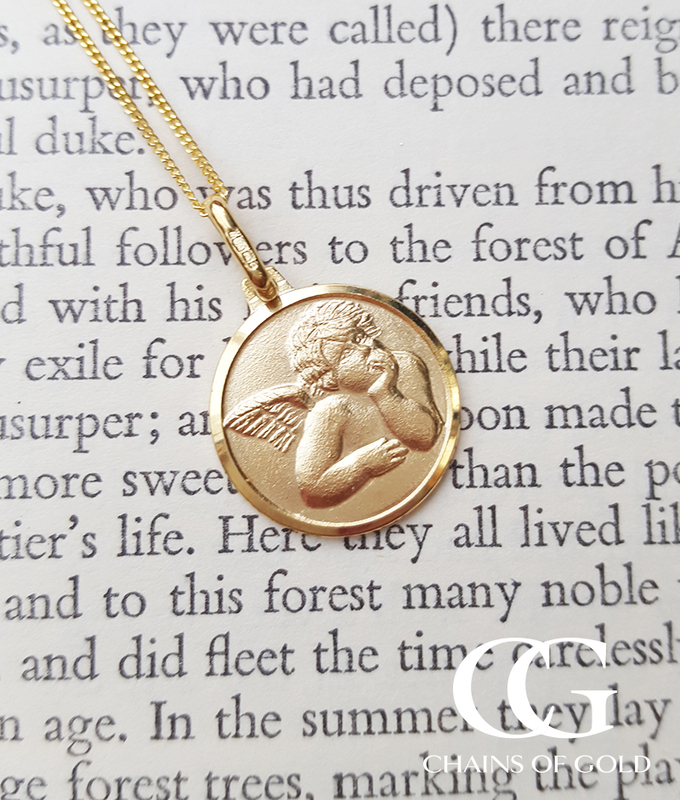 Guardian angel jewellery has always been a firm favourite of ours here at Chains of Gold, and we love this gold disc pendant with an embossed angel on the the front. The reverse is plain and can be personalised with that extra special message for mum. 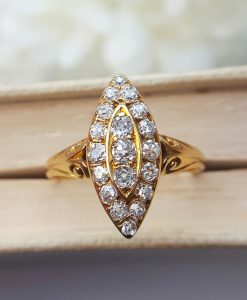 This is a lovely item of jewellery with so much meaning that we we are certain she will treasure it. 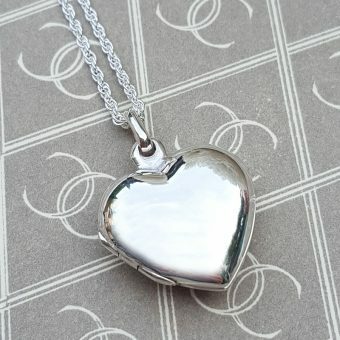 Your personalised angel necklace will arrive beautifully presented in a pendant box too, only adding to the wow factor. 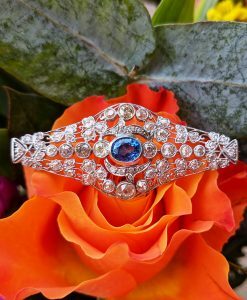 If none of the above have taken your fancy, fear not, we have plenty more ladies personalised jewellery available. 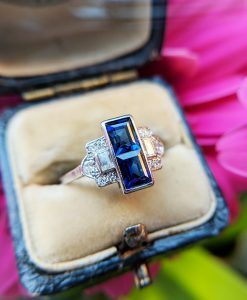 We are an online jewellery shop registered with the British Jewellers Association and we are Assay Assured, so you can buy your personalised jewellery for mum with confidence. 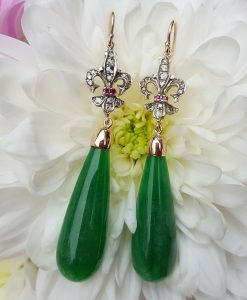 This entry was posted in Our Jewellery. Bookmark the permalink.